Another project I've been working on for quite some time...I think I finished recording all of these tracks last year but I've just now gotten around to mixing them down and getting it out! Enjoy! Been a while...I've been working on this project over the past couple months and I'm excited to shine some light on it. Flisk! Solo groove music, all improvised, no loops. 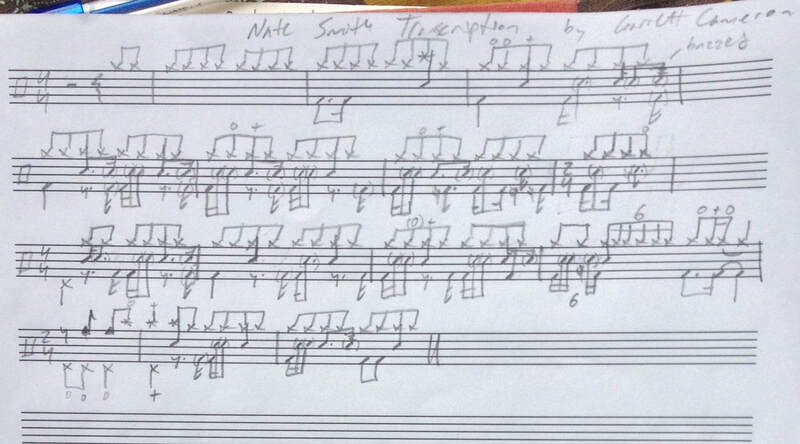 Hey all, I just finished this transcription featuring the super smooth, rhythmically-interesting playing of Carter McLean. Check it out! Hey hey, here's another BOTM vid, fooling around with 'lazy' flams- flams that have a bit more space in the middle...you can get that J Dilla/drunken hip-hop vibe if you slow the beat down a bit. I wanted to share a pretty cool new music site that I came across called Varidada. Their tag is ''play any song, in any speed, with anyone, from anywhere''. One basically collaborates with others online to create a cover of a well-known song by submitting the different tracks that make up the song, e.g. bass guitar, vocals, drums, etc. After these tracks have been submitted by you or by others, one can control the volume of a particular track, change the speed of the entire song, and solo different tracks to listen to them separately, among loads of other features. I've done some recording for them (mainly bass, but also some drum tracks) and have found the process to be really smooth. Uploading the tracks is painless and it's pretty great getting to collaborate with others across the world. It's also an excellent way to practice one's favorite songs and, in some cases (if the track uploader is exact in his or her playing), a great way to learn a particular part. More hi hat independence, enjoy! 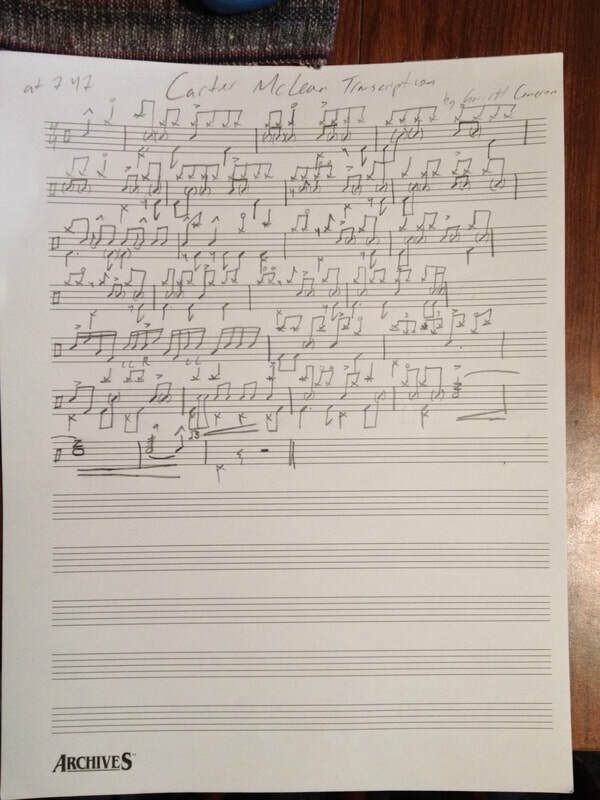 Practicing constant sixteenth notes with my left hand lead to the #23. #24 uses something I call a 'flick'- two graces notes, the first with the left foot on the hi hat and the second with the right hand followed by an accented note with the left hand.